Amanda Sevall Designs: My One Little Word for 2016... Present. Art print available for purchase here. Each year, I think about and pick a word to live by and this year my word is simple... present. 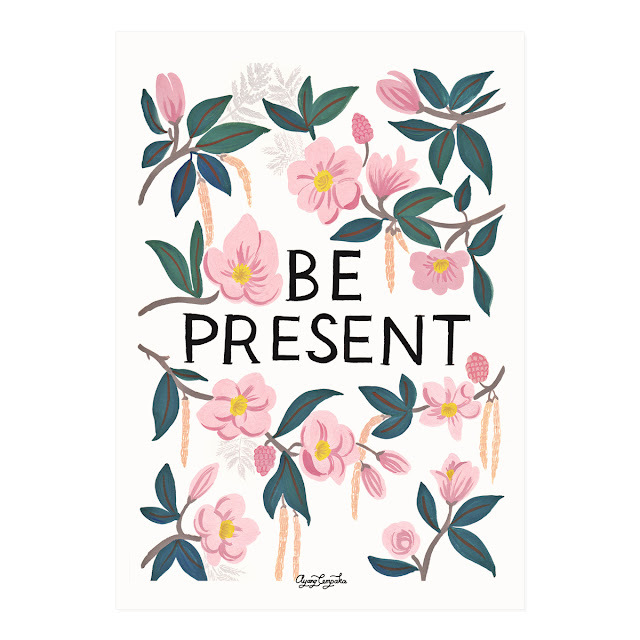 As in be present. We have lots on the horizon this year and I just want to take things one day at a time... to be in the moment and not in the past or future! My past words are... Simplify (2015), Breathe (2014), Adventure (2013), Enjoy (2012), Live (2011), Love (2010), and Create (2009). Great choice! If I'm not mistaken, that's Sheena's 2016 word too.